At Expert Windows we believe in treating our customers the way we would want to be treated. Before providing our customers with the best solution for their project, we explain the process and educate them on all of their options. We have several decades of experience in residential home projects including window installations, siding installations, door installations, insulation installs, patio covers, and customizing outdoor kitchens. We are honest and upfront with our pricing and always offer a fair price. Many window companies trick you into buying by giving a substantial discount if you “BUY NOW”, don’t do it! Our prices are good even after we leave your home, not “RIGHT NOW ONLY”! 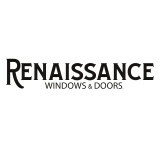 For over 30 years, RAM Windows has supported architects, builders and remodelers, commercial building contractors, developers and homeowners with the industry’s top windows and doors – and every custom package we deliver is equally designed and manufactured to create beautiful aesthetics, exceptional performance and long-lasting durability. RAM Windows is a Texas-based, leading manufacturer and provider of high-quality windows and doors for both residential and light commercial construction. Our residential projects throughout Texas include custom, one-of-a-kind homes that typically range from $500K and up. Our light commercial projects can be found throughout the United States, and these types of buildings include hotels and hospitality, schools and dorms, churches, medical offices, professional buildings, government projects and more. One key difference that makes partnering with RAM Windows special is the fact that we are both a manufacturer and a distributor of windows and doors. This means that we know windows and doors – inside and out. 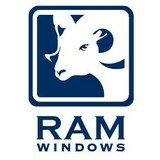 Plus, the expertise and exclusivity of our full line of RAM Windows can be complimented with a wide variety of top-quality windows and doors from leading companies including Western Window Systems, Marvin Windows and Doors, Rehme Steel Windows & Doors, MI Windows and Doors, and LaCantina Doors. When you partner with RAM Windows, you can expect to receive the right aesthetics to create your unique architectural vision, a comprehensive one-stop-shop for windows and doors, industry-leading expertise, flexible and creative design options, and a professional service culture that is committed to 100% total customer satisfaction. Window City is Houston’s leading Replacement Window Specialist. That’s right we are a Window and Door Specialist. We only replace residential windows and patio doors and we are experts at doing so. We are NOT a General Contractor, we don’t remodel kitchens or bathrooms and we don’t install siding or flooring, etc. If you needed brain surgery you wouldn’t hire a General Practitioner. You would hire a specialist like a Brain Surgeon. So why would you hire a General Contractor, Home Remodeler or Siding Company to replace the windows in your home? Why not hire an expert like Window City who specializes in replacing residential windows? You can get replacement windows at a cheaper price, but you will likely get a lower quality product and a poor installation. You can get replacement windows with comparable product quality and installation, but pay a much higher price than you should, sometimes 2 to 3 times more. So why take the inherent risk that comes with the cheapest price or pay too much for new windows when you can get a safe but sound value with Window City. We can provide homeowners a superior value because we keep our overhead low, no fancy showrooms or full page color ads and we buy direct from leading window manufacturers. Even with our low prices you will still receive the highest quality window installation by experienced window professionals who will arrive at your home on time and work tirelessly so the job is completed as scheduled and to your satisfaction. Customer Satisfaction is our # 1 Priority and it shows when you see the end results of the window installation. We don’t employ high pressure salespeople that will quote you a price “only good for today”, but rather take a no-nonsense no hassle consultative sales approach. During our in-home window consultation we will conduct a detailed window demonstration based on facts, not hyperbola and review what the installation entails. We will also present an itemized estimate detailing what will be provided so you can make a more informed buying decision. So when you’re ready to replace the windows in your home please give us the opportunity to prove why Window City has been chosen to replace windows for thousands of homeowners like you. Call us today at (281) 458-4081 to schedule your very own window consultation. You’ll be glad you did! 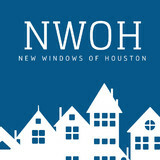 Discover a new perspective when it comes to your home with help from New Windows of Houston. We have over 10 years of experience in the industry and are dedicated to providing high quality, high performance, energy-efficient windows & doors at an affordable price. We offer window and door sales and installation. We specialize in residential and commercial projects, from private homes to student housing at Texas A&M. Windows and doors are our specialty - not just one many services offered by a general contractor. We eliminate the frustration of working with multiple providers by finding the best wholesale-priced windows and doors. This can cut the process time in half. Founded in 2012, Energy Saving Windows is a second-generation window and door installation business led by co-owners Arlin Kethley and Daniel Lindsey. We offer free online quotes and in-home consultatations, as well as interest-free financing (visit our website's "Financing" page for a free payment estimator chart). Our crews have been installing windows for more than 45 years and have all been background checked. They're all put through a series of rigorous training courses on and off the job, and are taught by the product manufacturers themselves how to follow their installation guidelines. Our wide range of materials is fully customizable, and includes aluminum, wood clad, fiberglass, vinyl and more. And we'll meet or beat any price with a comparable window or door. We are also committed to providing an up-front understanding of costs without any hidden fees and a quick turn-around time while providing excellent service. At Lone Star Windows, we pride ourselves on our products and our commitment to giving you the very best possible experience we can. We have installed thousands of replacement windows and doors from Lake Rayburn to Galveston to San Antonio during our twenty four years in business. Lone Star Windows is a window and door company serving the Houston, Texas area. We pride ourselves on our products and our commitment to giving you the best possible experience we can. We carry some of the best looking products as well as the most energy efficient windows and door products on the market. All windows and doors are installed by company trained installers for every customer, every time. All windows and doors are custom manufactured for a perfect fit and installed in strict accordance with either AAMA or manufacturers guidelines. Everest Siding and Windows was founded on a commitment to provide quality, eco-friendly, home improvement products at affordable prices. The company is family owned and operated, reason for which we are 100% involved and committed to do everything it takes to ensure you, our customer, are happy. We offer services and products that are designed to assist homeowners around Houston, like yourself, by increasing their comfort, increasing the value and the curb appeal of their homes, and reducing energy bills. We specialize in siding and windows replacement services, roofing and solar attic fans installation. We pride ourselves in offering only products that are high quality and eco-friendly at very competitive prices. We are experts at full installations, so don't wait, call us for your free quote today! Truwin The transparent window and door company.™ From new construction to replacement windows, we can clearly do it all. And we do so in a way that is easier than ever before. With high-quality fabrication paired with service and quality you’ll love, Truwin was designed to serve you. Whether you are looking to increase your home's looks or its efficiency, we have the right solution for you. Our high-quality windows and doors come in a variety of fits and finishes to match your dream vision of your home. And with our transparent approach to sales and installation, we are changing the way you'll look at them. Windows | Doors | Replacement | New Construction. At Storm Tight we take tremendous pride in manufacturing the highest grade windows and doors available on the market today! We understand that protecting homes is of the utmost importance to our clients. Our complete line of windows and doors not only keep you safe, but they also protect you from home invasions. Your home is most likely your most important investment and protecting it with energy efficient, highest quality glass is a smart way to protect your home. Our line of windows and doors are also Energy Star Rated and can reduce your energy consumption, which pays for your investment in a short period of time. The increased property value and lower utility bills along with the added protection proves that investing in quality is a smart choice that our clients enjoy for a lifetime. When it comes to replacement windows and doors, Storm Tight is setting the industry standard. For safety, security, and beautiful windows and doors that stand up to just about anything, Storm Tight is the only solution that meets our clients’ needs. Our vinyl house windows are the highest-performing window products available anywhere from three standpoints: energy efficiency, security, and storm protection. The vinyl we use is the thickest in the industry and is wrapped around steel-reinforced frames, while the glass panes in our replacement windows resist damage from wind-blown debris and offer astonishing protection against intruders. You simply will not find a stronger, more secure home window from any other distributor in the nation. The durability of our picture windows, double hung windows, casement windows, and other window styles is important for this region of the country, which sees substantial hurricane and tornadic activity. Violent storms such as these generate incredible winds, which in turn carry debris that can easily pierce standard windows. Our Hurricane Impact windows are virtually indestructible, withstanding winds of 180 mph – stronger than a Category 5 storm. They are ideal for coastal areas near Houston, TX, and meet all standards outlined by the Texas Department of Insurance and made in the USA. Keeping you safe in dangerous weather, and comfortable all year long – that’s the positive impact that new vinyl windows from Storm Tight Windows of Texas will have on your life. The Woodlands Draperies & Design is a full service design firm in Texas specializing in custom draperies, curtains and professional window treatments. We fulfill the highest expectations of our clients in quality and timely delivery. Every design project and window treatment we create is exquisitely made-to-order and we don't start working until we've discussed all custom design details with you. We want to bring your ideas to life in a way that's convenient, efficient, and suitable to your budget. Art Glass by Wells has been owned and operated by the Wells family in Houston, Texas for over 50 years. With a commitment to excellence and a passion for our work we produce true works of art for residential, commercial and ecclesiastical clients. Art Glass by Wells can take your vision and turn it into a reality; transforming different parts of your home, work or worship center into what you had always hoped it could be. Art Glass by Wells specializes in creating custom entry way doors, transoms and sidelight panels, bath windows, kitchen windows and cabinets, ceiling domes, etchings and on-site repair for the Houston area. We can also create and install custom frameless and semi-frameless shower enclosures. 12 Bravo Construction Companies LLC, is a local Veteran owned and operated in the Houston/ Pearland Area. Our main focus is the home owner's needs, bringing the whole experience to a one on one hassle free experience. We are skilled trade professionals that have over 15 different certifications in Roofing, Insulation, Windows, and more. Each one of our team members must continually take steps to better their knowledge each year while working with us to insure a high level of expertise. We also have COMPETITIVE WARRANTIES. When you choose Pella, you’re buying more than just a window or door. You’re getting the experience and service of local Pella professionals who are proudly committed to your satisfaction. See how Pella has remained passionate about creating a better view for you. Pella has a proud 85-year history of environmental stewardship and has been recognized for its energy efficiency leadership and sustainable business practices. You can feel good about choosing Pella windows and doors. Rest assured. Unlike some window and door companies, Pella will be here for you after the sale. We stand behind our quality products with some of the best warranties in the business and a national network of service specialists. Whether you’re building a new Richmond home, remodeling an old one or just replacing a few windows that are past their prime, your window dealer in Richmond, TX will help you pick the right windows for your needs, home style and budget. Windows come in so many sizes and types that expert advice and direction is invaluable in helping you make the best decision. These pros can also help you with custom window designs that complement your space better than something ready-made. Lastly, if you are interested in doors with windows, these experts are also knowledgeable about sliding doors, French doors and other paned portals. Your window pro might work closely with other Texas builders and remodelers as well. Here are some related professionals and vendors to complement the work of window sales & installation: Window Treatments, General Contractors, Home Builders, Specialty Contractors, Siding & Exteriors. Find a window dealer on Houzz. Narrow your search in the Professionals section of the website to Richmond, TX window dealers. You can also look through Richmond, TX photos to find examples of windows that you like, then contact the window professional who worked on them.